You are viewing all posts published for the month of January, 2011. If you still can't find what you are looking for, try searching using the form at the right upper corner of the page. 36: So this should have been a quiet week, right? 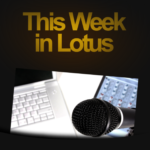 Episode 36, recorded Thursday 28th January 2011, discussing why Notes is definitely not dead, IBM’s exceptional web experience, LotusLive’s pre-Lotusphere announcements, working at IBM, Lotus advertising, Domino on SSDs and even a few mentions of Lotusphere 2011! Notes is definitely not dead! 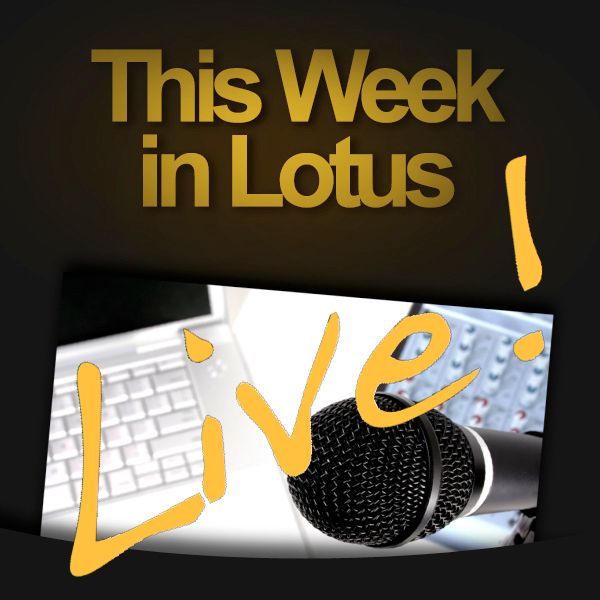 Jon Rolling – Lotus – Not dead yet! Karl-Henry Martinsson – Lotus Notes – Not dead here either! What do these kind of posts mean? Can we extrapolate? Ah, but what about Jake Howlett – Am I Still A Domino Developer? Does IBM Practice what it preaches? Is it time for a new Lotus Notes/Domino ad campaign? Is James right? Is the appdev story the key to IBM success with ‘platforms’like Connections, LotusLive and Quickr? The passing of the torch or the end of an era? Great topic! What’s the one standout session? Get on Twitter, Get on LinkedIn, Participate. Sign up for about.me. Sandy Carter (blog | twitter) is Vice President, Social Business and Collaboration Solutions Sales and Evangelism, where she is responsible for setting the direction for IBM’s Social Business initiative, working with companies who are becoming Social Businesses, and being the evangelist for the concept and best practices around Social Business. Paul Withers (blog | twitter | company) leads the Domino Development Team at Intec Systems Ltd, an IBM Business Partner in UK. Co-presenting session at Lotusphere XPages: Enter The Dojo, Tuesday 3:30pm. ‘IBM Social Business and Social Solutions’? Can you describe what this includes? Unusual to see a VP focused on Evangelism? Will you continue to blog and tweet in the new role? Previously (before your role with partners) you were VP Websphere. What differences have you found coming across to Lotus? Have you been surprised by the ‘community’aspect of Lotus, or are there similar communities around the other IBM brands? What are your expectations for Lotusphere 2011? Are you speaking at the OGS or other sessions? Looking forward, If you had a message for the Lotus community as we get into 2011, what would it be? XPages Mobile controls look great! Where are the checkin points? Good range of different topics, including Ms Sharon Bellamy and David Leedy! First new episode up, talking about Lotusphere (what else!) sessions etc. You either like patents or you hate them. IBM *loves* them…. Congratulations to winners announced thus far: Silanis, Ascendant, Ascendant, iEnterprises, Trilog Group, Fritz & Macziol, and Polycom; and to finalists Tungle, Applicable, Prolifics, Rigelsoft, Ascendant, GEDYS IntraWare, Brookstone Technologies, EdifiXio, Silanis, GROUP Business Software, iEnterprises, Plantronics, and KMSLab. Use the Lotusphere Social Aggregator! Not so much a tip, more a request. Need a SIM card for the US that gives 3G data (no calls) at decent rates, say by buying a bundle of 2GB etc. Any suggestions? 34: Lotusphere Idol, Gurupalooza, Harry Potter and booth babes – What are you looking forward to at Lotusphere 2011? Susan Bulloch (blog | twitter) Susan Bulloch has worked for IBM Lotus Software since 2000 in software support and development positions. Susan currently works as a Support Engineer on the Lotus Products SWAT Team, supporting the entire Lotus product line, specializing in Lotus Notes and Domino. One of her specialities is Calendar & Scheduling. She has worked with Lotus Notes and Domino since 1992 as an administrator, instructor, developer, and architect in banking and utility industries. Susan has a Bachelors degree in engineering and a Master’s degree in Information Technology. She holds certifications in all current Lotus Notes product releases, and is actively involved in quality testing Beta versions of new IBM products. Susan is a frequent speaker at technical conferences, including Lotusphere, the View Admin conferences and at regional user group conferences worldwide. This year, she’s Track Manager for the Best Practices track at Lotusphere, Host of Gurupalooza, a Judge at IDOL and one of the many Nerd Girls working to produce some interesting activities. Roy Rumaner (blog | twitter | company ) Roy has been a Lotus Notes Developer since 1994. In that time he has consulted for many of the Fortune 50 companies in and around the Chicago area and across the country. He has been a speaker at Lotus conferences, was the co-author of two Lotus Notes books, is a regular presenter at GRANITE (the Chicago Lotus User Group) and most recently at MWLUG. Roy is the IT Director for The Essential Business Software Group. Roy is also the Director of IT & Training (US) for MyDealerSoft – a fully web enabled Auto Dealer Software suite that covers all business needs, inbound and outbound for Dealerships. Mike McGarel (blog | twitter | company) Mike has been a Notes/Web developer for over 12 years. He currently works for Czarnowski, a North American exhibit services company, responsible for both intranet and customer extranet applications. He has concentrated on XPages development since last year’s Lotusphere. Mike co-presented (with Roy, of all people) a beginner’s XPages workshop at MWLUG this summer and was a regular speaker at GRANITE, the Chicago-based Lotus user group. Mike was recently voted Vice President of GRANITE for 2011. Now just 16 days away! How long did it take to flush out from idea to product? Bring your questions – you’ll get honest maybe too honest answers. Any Gurus being disagreeable with others will be sent to the side of the stage to dance – either alone or with their nemesis. It’s free miniature golf, open to anyone, not just bloggers. The site has links to photos from the previous two events. Registration will open Monday, January 17th. Space is limited so you should sign up quickly if you’re interested. Registration will be simpler this year. There will be no specific start times for groups — your “team”is whoever is around when it’s time for the next group to start. Ytria will also be giving away everyone’s favorite Lotusphere goodies – Jelly Beans! Request from Sharon Bellamy – what advice can the panel give for a first timer at Lotusphere? Time flies at the Wednesday night party. If there’s a ride you want to go on, get to it quick! Close out LS11 with Lisa, Mike, Stuart and Darren at Kimonos on the last night. At LS10 we were officially the last party there! The 2nd Annual Lotusphere Thursday Last Call Party! XPages related podcast is alive! SkiLUG is a user group event that combines technical sessions and outdoor winter fun in the U.S. state of Maine. Bill Malchisky is the brains behind it. It takes place soon after Lotusphere from Friday, February 25th through Sunday, February 27th. The URL is http://www.skilug.org. 1) Talk to the fellow attendees at Lotusphere. At your lunch table, while standing around between sessions, wherever. Technical content at Lotusphere is fantastic, but the relationships you build can be even better. 2) For you XPages developers and wannabe XPages developers, look for the new XPages Cheat Sheet put together by David Leedy. It’s four pages of basic XPages material that is invaluable. I have a review copy and I’ve already referenced it several times. Dave announced it on the most recent XCast and has a blog post about it on Notesin9.com. Treat your IBM developers well! A greeting, a drink, a coffee – they are the hardest working people…..
1) Get lots of sleep a lot before you go. I know everyone says it, but after 15 Lotusphere’s, I can tell you that if you follow his advice and network, you will be up until 2 or 3 in the morning talking to all those new friends, discussing lots of new ideas and then you need to be back up and ready to go to a session or breakfast at 7. And don’t discount the idea that you need to wear comfortable shoes (maybe bring a second pair and switch off each day). Last time I logged my mileage at LS09, I walked well over 15 miles in 4 days. I would even go so far as to recommend buying a couple of pairs of comfortable socks. 2) Leave the backpacks in your room. You really do not need to carry around all that paper they give you. The daily schedule will fit in your pocket and if you really want to take notes or carry a couple of water bottles bring a fanny pack or use your pad or tablet. Just remember to put the Showcase prize forms and punch cards in your pocket Monday morning. Lots of good prizes to be had if you get all the stamps. 3)Last thing, this is a casual show so suits and ties are not required– unless of course your name is Bill Malchisky. Have two Lotusphere tips and as I’m a developer I have to send people of with a coding tip as well. For Lotusphere – make sure to come by our booth in the showcase and see the future of group calendaring. We have an all new UI written entirely in Java that will blow your socks right off!! Also be sure to check out our Lotusphere planning app that we discussed earlier. As for the coding part – when doing LiveText recognizers in Notes the regular expression you specify is case sensitive but if you prefix your regular expression with (?i) it will become case insensitive. Really cool and it makes it a lot easier to write your regular expression. For more info see my blog. 1) Don’t ever ever submit an abstract to do a Show and Tell session! 2) Engage, engage, engage. Put any shyness or ‘English reserve’behind you. You’re only at Lotusphere for one week a year, so maximise the value you get by taking every opportunity to talk to people – in sessions, in the labs, on the Showcase floor, in Kimonos. 3) Take a stack of business cards! 33: Lotusphere 2011 Business Development Day. Oh, and we discover the location of the Lotusphere Party! Episode 33, recorded Thursday 6th January 2011, discussing the Lotusphere 2011 Business Development Day, events for partners and get an exclusive on the location of the Lotusphere party! Colleen Hayes (email) is program director, Marketing Strategy and Channels for IBM Collaboration Software and is leading the business partner development day for Lotusphere 2011. Colleen joined IBM in 1994 where she has marketing, sales and strategy positions at regional, national and global levels. Prior to joining IBM, Colleen spent three years at Mall of America as director of Tourism Marketing and Group Sales, and three years at the St. Paul Convention and Visitor’s Bureau where she held positions sales and marketing. Colleen has an MBA from Northwestern’s Kellogg School of Management and holds a Bachelors degree in Communications. Jan Zeuthen (company | twitter) is the CEO and co-founder for Business partner Opus Neo. Opus Neo was founded almost 10 years ago and during that time Jan has been doing development, project management, marketing, sales, administration and got coffee for the developers. Jan is also the idea man behind Neo.Dashboard for Quickr. Now just 23 days away! What is Business Partner Development Day? Why should partners attend Business Development Day? Are there any limits on what you can reveal on Sunday? There are certification labs at Lotusphere, right? Would you encourage partners to take exams whilst onsite? Why would partners attend Lotusphere as a whole? Are there any special deals for partners that haven’t yet registered? What have we gained by being at Lotuspheres past? What are you plans for LS11? Do you genuinely do business at Lotusphere? Al Zollar retiring – what did he do for Lotus when he was GM? Darren Don’t turn on Managed Replicas and “Use Local”in Notes without first ensuring the replica already exists on the local machine.